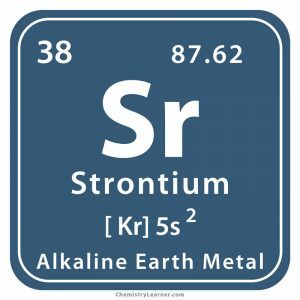 Strontium (pronunciation: STRON-she-em) is a soft, silvery element that belongs to the family of alkali earth metals and is represented by the chemical symbol Sr [1, 2]. Being chemically highly reactive, it reacts with water and burns in the air [1, 3]. 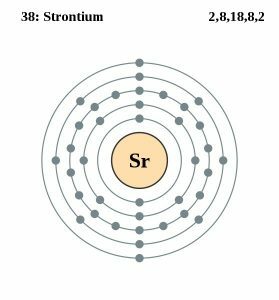 Strontium is characterized by four naturally occurring isotopes, including 84Sr, 86Sr, 87Sr, and 88Sr, all of which are stable . In addition to these four isotopes, more than 30 unstable isotopes exist, out of which the longest-lived are 85Sr and 90Sr with half-lives of 64.853 days and 28.9 years respectively . 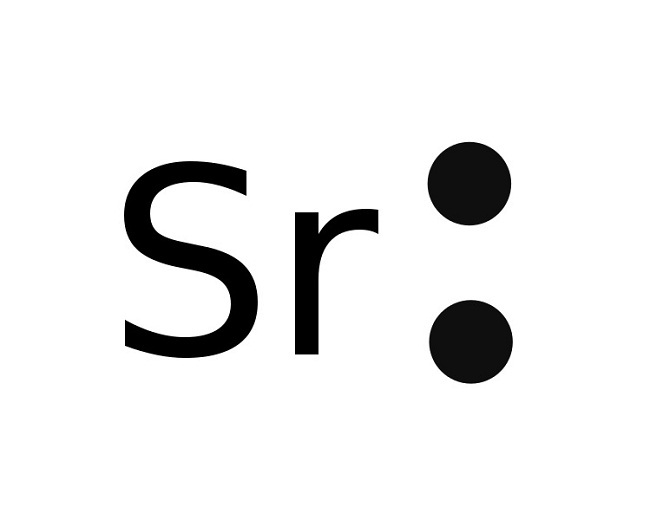 Strontium is mainly obtained from the mineral ores strontianite (SrCO3) and celestite (SrSO4) [1, 6]. It is commercially produced through reduction of strontium oxide (SrO) with aluminum, or through electrolysis of the molten mixture of potassium chloride and strontium chloride . 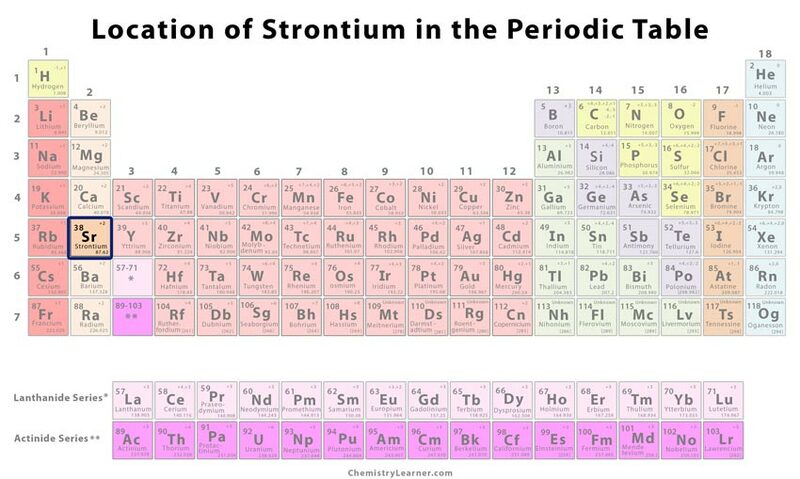 Today, the leading producers of strontium are China, Spain, and Mexico while the top reserve holding country is China . Origin of its Name: It is named after the small Scottish town Strontian . Who discovered it: The element was first found by the Northern Irish physicist and chemist Adair Crawford . In 1787, Adair Crawford analyzed an unusual rock that he found in a mine at Strontian . He named the new mineral, which consisted of an unknown element, strontia . A Scottish chemist, Thomas Charles Hope, investigated the element in 1791 and found that it causes the candle flame to burn red . At the same time, Martin Heinrich Klaproth independently worked with the mineral in Germany and successfully produced both oxide and hydroxide of strontium . In 1808, Sir Humphry Davy isolated strontium metal through electrolysis of a molten salt of strontium sulfate . He used mercury and platinum as negative and positive electrodes respectively . Strontium salts are known to produce brilliant red color and are commonly added to firework mixtures and road flares [1, 3]. It is used in ferrite magnets production and zinc refining processes . Strontium aluminate and strontium carbonate are used in ‘glow-in-the-dark’ plastics and paints in which the light absorbed during the day are slowly released afterward . 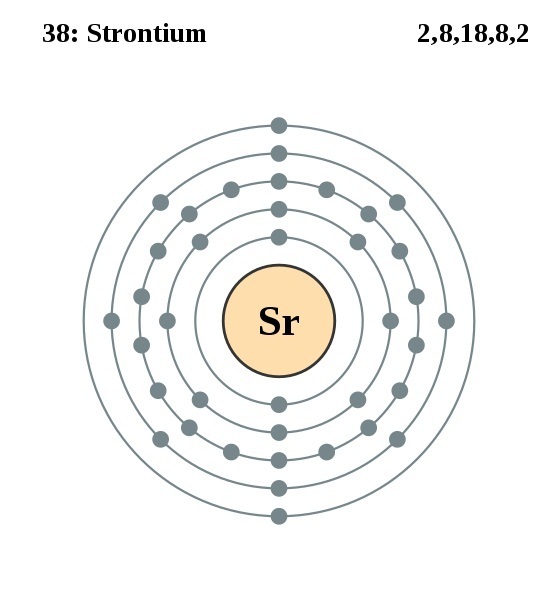 The radioactive isotope Strontium-90 is a high-energy beta emitter and can be used for generating electricity in remote weather stations, navigation buoys, and space vehicles [1, 3]. Strontium-90 can as well be used for removing static charges from machinery that handles plastic or paper . Strontium chloride along with strontium acetate, used as an ingredient in toothpaste, helps in relieving pain caused by sensitive teeth . Research indicates that intravenous Strontium-89 chloride can be used for reducing pain associated with metastatic bone cancer . Some deep-sea creatures incorporate strontium into their shells, and thus the element is necessary for some stony corals . Like calcium, it can be absorbed by human bones, but is not harmful and does not play any biological role in our body . Exposure to radioactive 90Sr, an extremely hazardous component in the fallout from nuclear power plant accidents and nuclear explosions, can increase the risks of developing cancers of blood, nose, lung, and the bone [1, 3, 12]. 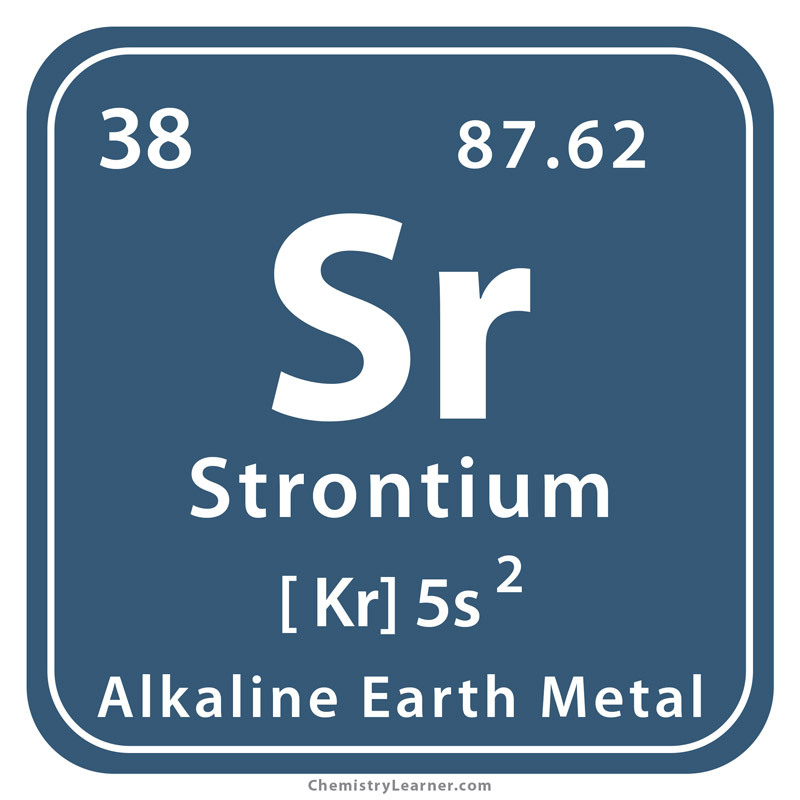 Strontium is a common element in nature and is 15th most abundant in Earth’s crust . When it reacts with water, it produces strontium hydroxide, which is a severe respiratory, skin and eye irritant . The element is graphically represented by an abstract image of a metallic mushroom cloud, indicating its presence in nuclear fallout . 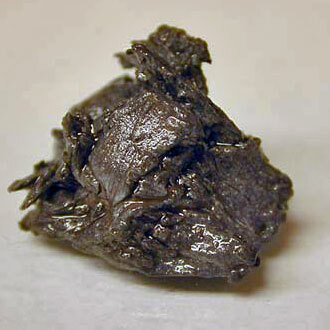 The price of pure strontium is about $1 per gram .